Last month I participated in The Kraken Collective‘s #KrakenFriends2018 anniversary sale, but I made a mistake: I ran my promotion as a Kindle Countdown Deal, which meant that it was not $0.99 in all markets—only in the US and UK. I didn’t realize that until it was almost over. To make it up to my international readers, I am going to be marking Cheerleaders From Planet X down in price again for the month of March, and this time I’ve ensured that the price will be lowered in all markets. And the good news is: there’s a bunch of other great books for $0.99 as well! Ride out the end of the world, battle ferocious zombies, topple corrupt governments, and fight back against merciless alien invaders with these young heroes and heroines—and all for 99 cents each read! There’s just one rule: survive by any means necessary. So curl up, grab your eReader, and get ready for pulse-pounding adventure. The sale is being organized by my friend Holly Hook, who’s also been one of my favorite authors since I first read her awesome Destroyers series (IT’S ABOUT PEOPLE WHO TURN INTO STORMS!!! *shrieks incoherently*) back in 2011 or so. There are several books included in the sale that I know fans of my writing will enjoy, including Holly’s own Homeworld Trilogy (War of the Worlds retelling! *shrieks again*), and Chameleon Moon by RoAnna Sylver. You can find all the participating books here! And don’t forget to get Cheerleaders from Planet X for $0.99 (or your currency’s equivalent) everywhere now, not just in the US and UK! Magic at Midnight is available for preorder now! 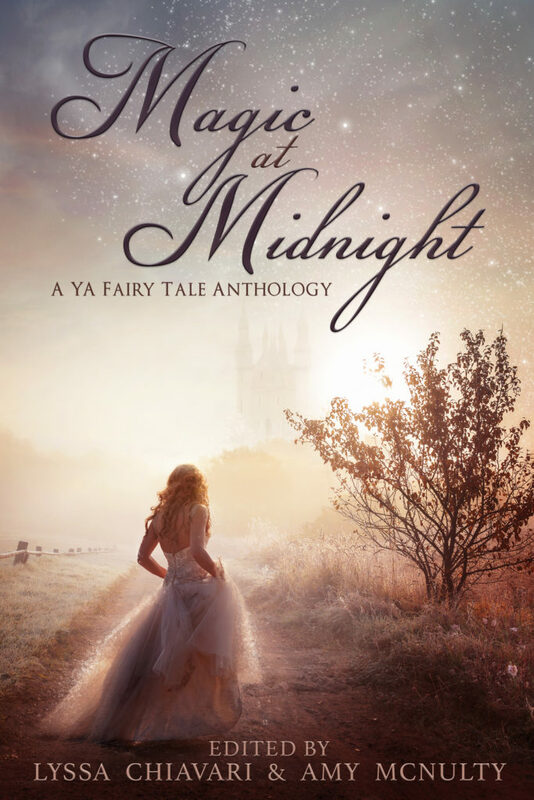 The YA fairytale anthology I’m co-editing with Amy McNulty for Snowy Wings Publishing is coming out on May 29, and it’s available for preorder now! We’re running a special preorder deal for just $0.99 until the book releases, after which time it will go up to $4.99, so if you’re interested in this one, grab it while it’s in preorder! This book will also be available in Kindle Unlimited for the first six months, and will be available widely after that period’s up (so around the last week of November). We’re looking forward to sharing these stories with you! Fourth World on Queer Books for Teens! Cheerleaders from Planet X is a Goldie nominee! I’m very excited to announce that Cheerleaders From Planet X has been nominated for three Golden Crown Literary Society awards: in the juried Science Fiction/Fantasy category, as well as the Tee Corinne Award for Outstanding Cover Art and the Ann Bannon Popular Choice Award, which are voted on by society members. If you are a member of GCLS, thank you so much for your consideration!